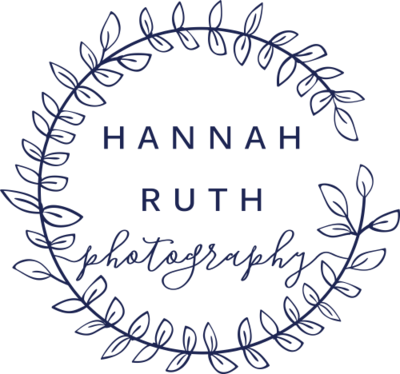 My name is Hannah Ruth! I’ve built my life on the shores of Myrtle Beach and still find myself falling in love with this beautiful scenery. 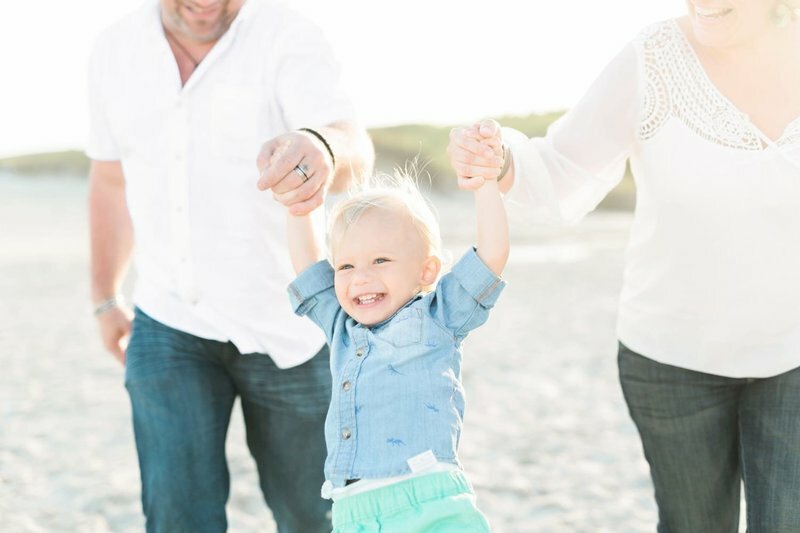 I’m all about photographing couples, families, and seniors during some of the happiest times of their lives and making sure everyone is having a good time in front of the camera! People will tell you I’m laid-back and approachable and they couldn’t be more right. 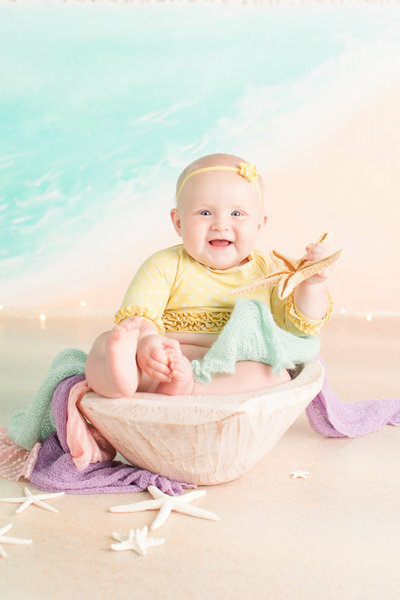 My sessions are all about having fun, letting your best side shine, and getting the shots that make you happy. 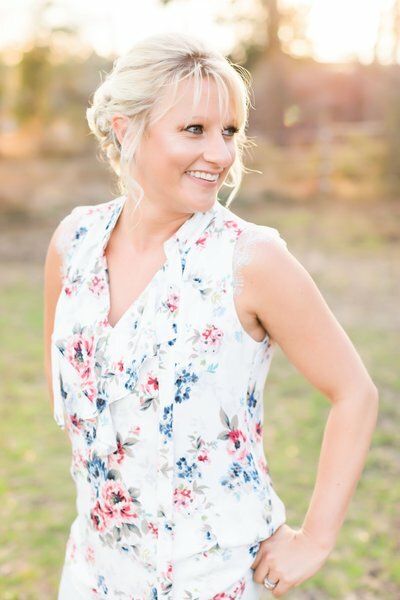 I’m a featured vendor for some of the top wedding professionals in the area and my style is a mixture of whimsy, southern comfort, and elegance. I serve clients all over the Carolinas. If you’re not right here in Myrtle Beach, let’s see what we can do together! It was important to Emily & Sean that the wedding reflected their relaxed and fun personalities. They genuinely wanted their loved ones to have an incredible experience and memories that would last a lifetime! 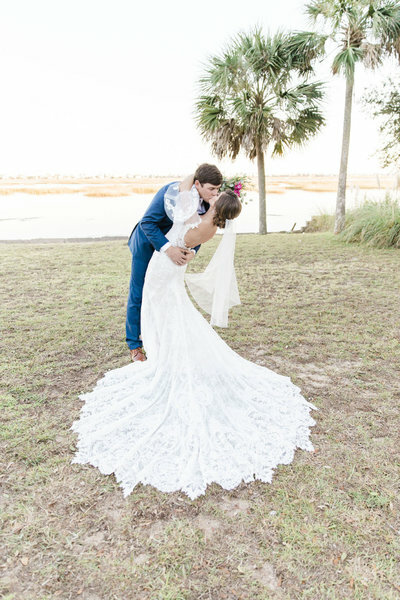 The couple exchanged vows in an outdoor ceremony overlooking the Murrells Inlet marsh. 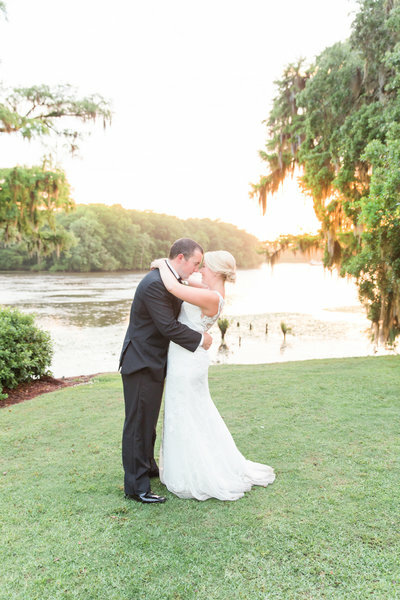 The sun danced off the water and glistened through the Live Oak Trees dripping in Spanish Moss. It was truly breathtaking. Everyone is sure to look back this night and say “Wow, what an incredible wedding”! 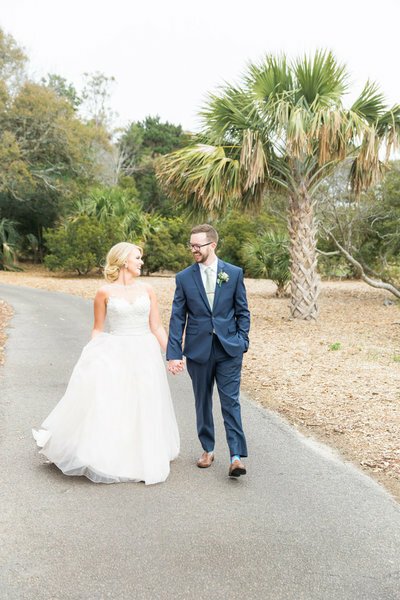 Amanda and Noah traveled from Virginia to Myrtle Beach to tie the knot. They shared the day with family and close friends, including the bride and groom's brothers. This fun loving and upbeat couple couldn't stop smiling throughout the day. Although it was a bit chilly, everyone enjoyed the ocean views overlooking the beautiful shores of the south! 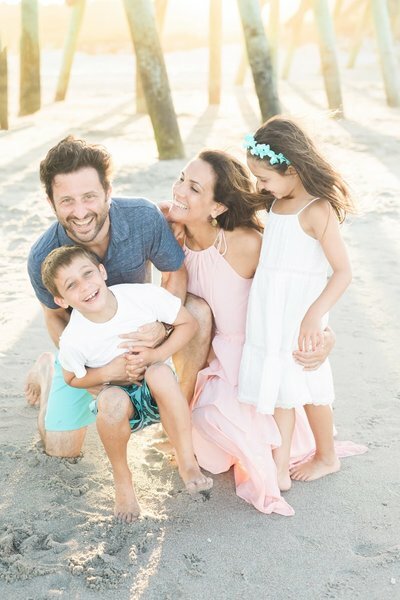 Amanda and Noah's wedding day adds to the rich 65 year history of The Dunes Golf and Beach Club. 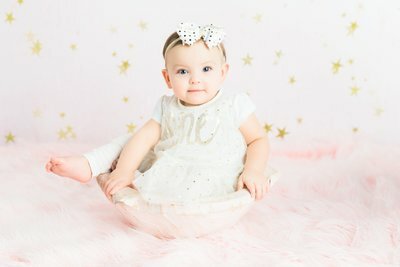 I feel honored to capture such a special moment for these two! 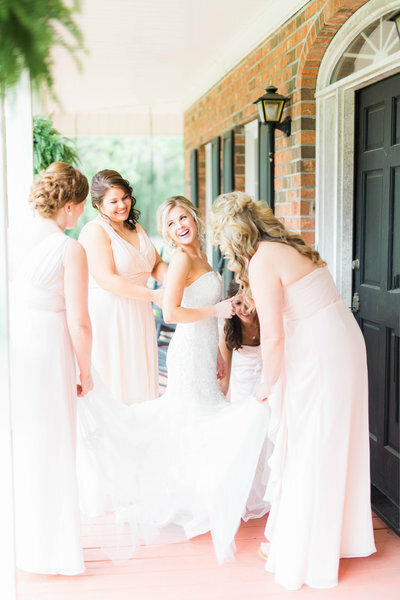 It might have been a rainy day, but the love between Ashleigh and Chris was shining bright! It's a coincidence that Ashleigh and Chris were married on the same day as the Duke and Duchess of Sussex. Their wedding date was planned well in advance of Kensington Palace’s announcement! 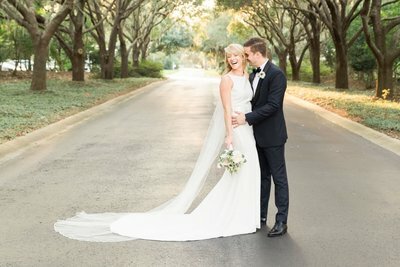 The bride dreamed of an outdoor ceremony under the live oaks and EventWorks made her dream a reality despite the uncooperative weather. This fun-loving bride spontaneously decided to walk down the aisle in rain boots! ...And just as Chris and Ashleigh said "I do", the clouds parted, and a vibrant orange sunset became the backdrop to their outdoor wedding ceremony.